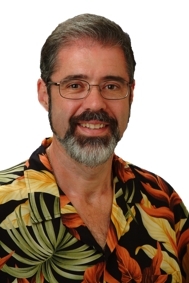 Hawaii Randy's Real Estate Opinions: Townhouse or a Single Family? Townhouse or a Single Family? I have seen several of these listings in the past and it gets under my skin. A townhouse listed as a single family home. What is the agent thinking? If a buyer is looking for a townhouse he may never see it. When it all said and done it will negatively affect the sales numbers for the area. The average sales price for the neighborhood will be lowered. The number of town home sales will be reduced. In the last two years I have reported several of these to our MLS system to only see the practice continue. If you are the seller of a townhouse and you are not getting showings or offers, how would you feel to find your agent listing your property under the wrong category? While writing this post I went on to the MLS and caught another such listing. It is a 1-bedroom condo 461 sq/ft living space, 0 sq/ft land, listed as a single family home. It is more than $200,000 less than the lowest priced single family in the town. Of course there were no pictures, not even a camera phone shot. If I were the seller I would be furious. Maybe report these occurances to the Board of Realtors and the MLS. This kind of thing tarnishes the image of professionalism. Randy, Maybe an ''honest'' mistake. How about a call to the agent? I just can not see what purpose this serves? I get tired of the same thing Randy. I email a lot of agents corrections in geo code, building type/style etc. I'd had more argue their point than thank me for take time out of MY day to do THEIR job correctly. Three cheers for a Florida real estate license course costing $369. Yeah! Funny you said that Randy, I was putting in a condo listing late last night and after going through most of the data..I noticed I put it in single family..I had to delete it and start over. I was very tired but still caught it. I hate when agents list that way. I would have figured that one out fast..but hey.we all make mistakes. True..agents who have listings should recheck them to make sure they did not miss something and it is annoying. I agree with the frustration and would hope the local MLS would enforce this rule with an escalating fine schedule per agent / office. Here on our local MLS this same issues has recently become a problem and fines have started to be handed out to the agents and their brokers. Is there a reason you have not contacted the Broker? Or is the Broker the one entering the listings? Having sat as a Director on our local MLS Board ...It has been my experience that sometimes the person entering the listing is an untrained assistant. I try not to assume anything until I have all the facts. SVW. I was sending a client listings for Mililani single family and yup...what do you know .....a townhouse! Hey Randy...janeAnne has a point there.....you got connections down there! Bill - I and several of the agents in my office have reported them. KRISTINE - I have seen the creative pictures. The worst is the junk building where the only picture they showed was the beach about 8 blocks away. Mott - I agree, I see absolutely no benefit to anyone. Margaret - I do that in most cases. They are a couple of agents who told me to mind my own business. One of the agents who does this consistently told, me to mind my own business. He said it is up to him to decide how to market his listings. I was surprised to see him doing it again, since I know there have been many complaints sent in to the Board of Realtors about this practice. Chris - I was hoping our increased fines would stop this practice, but it doesn't seem to have worked on a couple of hard case agents. Neal - It is easy to make mistakes. The ones I am mentioning are not mistakes they are done intentionally. David - I have not heard that before. Paul - I am a little surprised to see a couple of agents continue this practice. I know there have been several complaints sent to the Board including from me and our fines have gone up a bunch. The only thing I can figure is that they have not been getting fined after we complain. TLW - You hit a great point. The two who do it the most in my community are both Principal Brokers. Both have told me to mind my own business when I contacted them in the past. janeAnne - I have read about that feature in other MLS Systems. In meetings with our Board of Realtors, I brought up that suggestion. I like it! Sally - I think that would be a welcome feature on our system. It would help ensure the integrity of the list and the data it generates. Randy, I can see the negatives when they do this, but is there any advantage for them to list a townhouse as a single family? George - I personally do not see an advantage. The argument from one of those agents is that they feel they are marketing to single family home buyers who are being priced out. I do not agree with them.